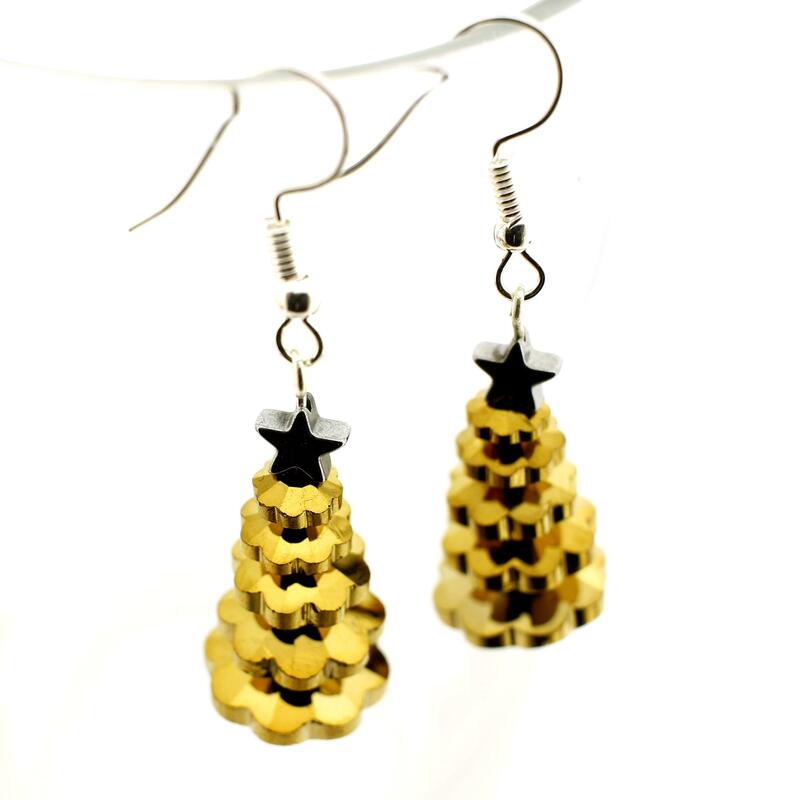 Make these stunning earrings with the margarita style crystal glass beads in Gold colour. The kit contains 2 sets of margarita shape crystal glass beads in 5 sizes from 6mm to 14mm. 2 Silver Plated earrings, 2 silver plated head pins, 2 Silver Hematite stars and 2 silver hematite rondelles.